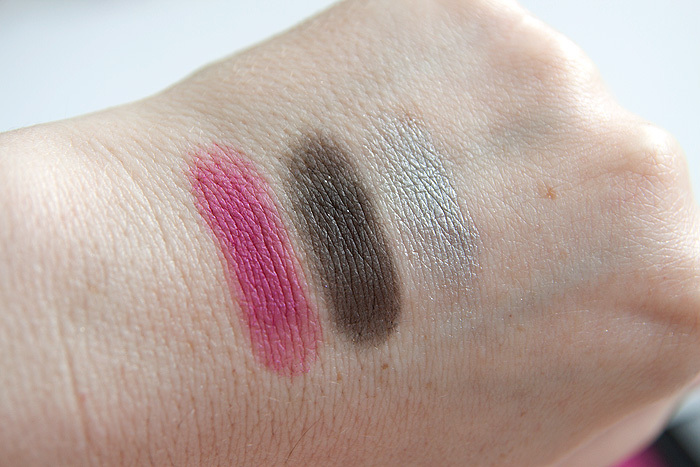 What I lack in eyeshadow bravery, I like to think I make up for when it comes to choosing lip colours. 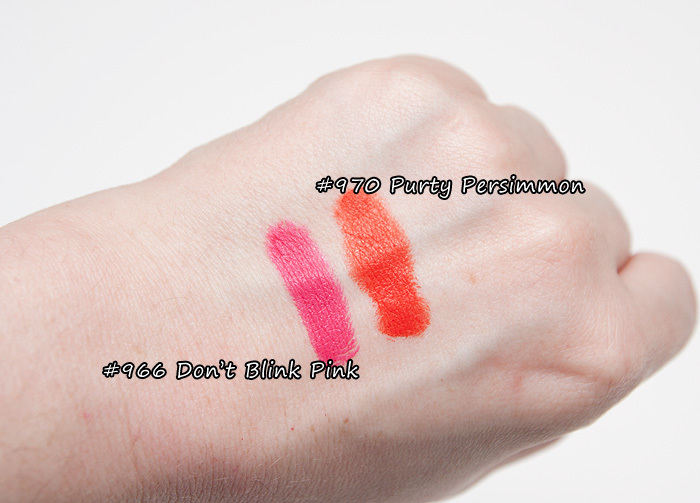 Not one to shy away from a bright lip, I first saw Don’t Blink Pink featured on the lovely Clumps of Mascara blog and within five minutes, I had checked out my eBay basket on Paypal containing the luridly bright pink and another, lesser-spotted (on my lips) shade, orange – in the guise of Purty Persimmon. First things first, these lippies are cheap. Cheep cheap! I paid around £6 including shipping from the U.S. for both – they also feel cheap. They wobble about in their housing like brightly-coloured mini Pisa replicas and you’ll struggle to get a neat edge without the help of a lip brush because the formula is so, so hard. They do warm up a little on the lips but overall, there is no luxury or even any attempts at luxury in these bullets. What you will find though, is colour. And plenty of it. 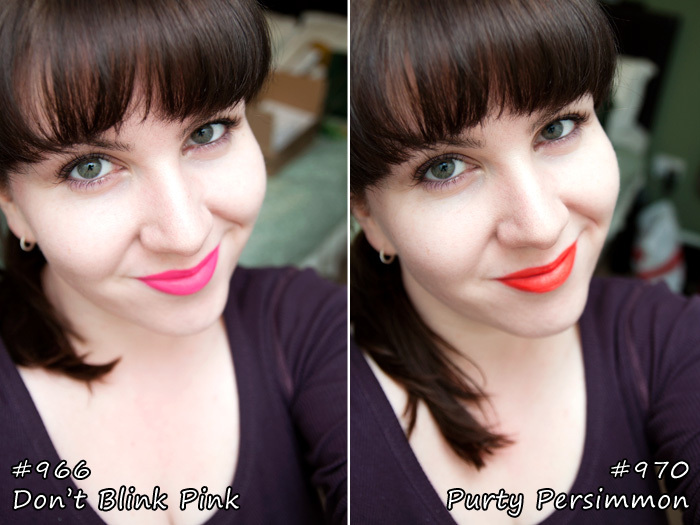 They’re practically neon on the lips, albeit a wearable neon. They scream summer and make me feel supremely happy when I catch sight of my lips in the mirror. Honestly? They make me wanna do a duckface. Living up to their name, they offer great longevity and although they’re somewhat drying, I didn’t suffer any real problems or discomfort on well-prepped lips. I’ll admit that I haven’t quite mastered the courage to wear the orange outside of the house just yet but I did get compliments on the pink last week. 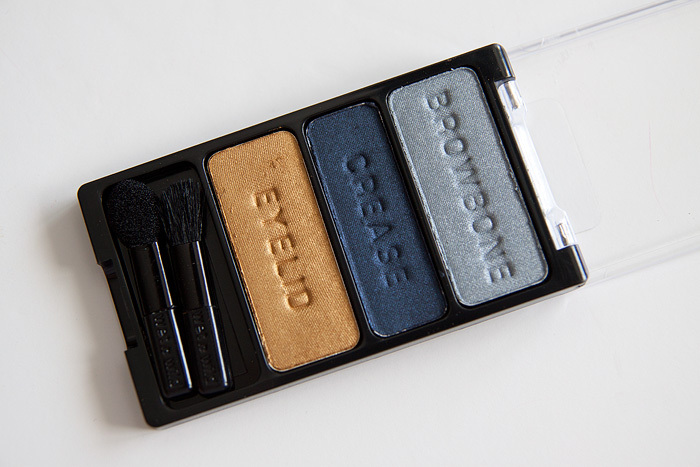 If nothing else, this is a really good jump into the deep end for those of you who want to get to grips with some bright shades but don’t want to be spending all of your pennies on something you may not get much wear from. I bought these from seller: senoritadelsol. What do you think? 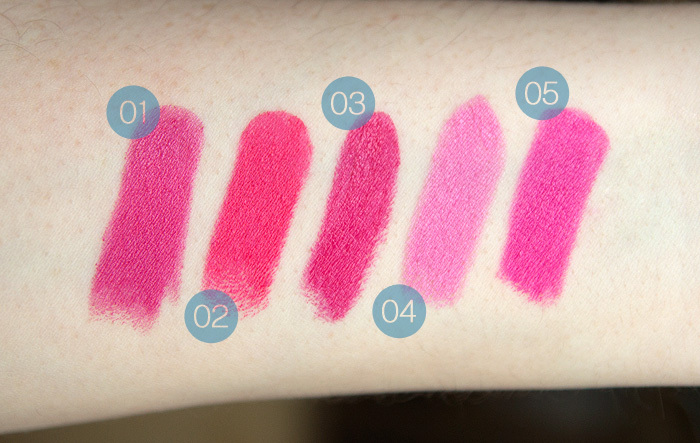 Are you going to be rocking some bright lip shades this year? 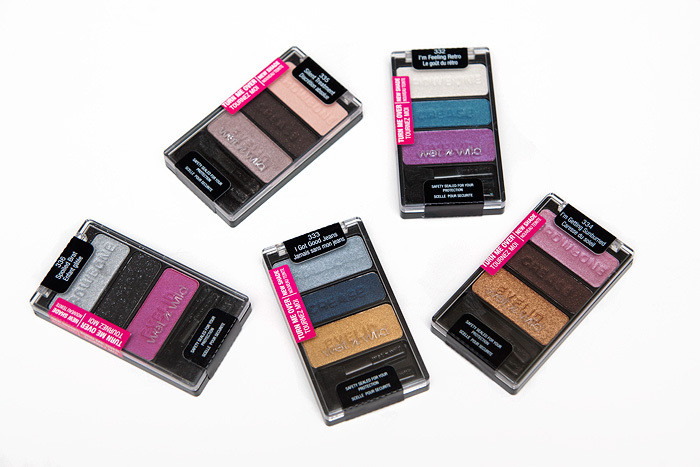 We have a winner: Wet N Wild Color Icon Trio Giveaway…. 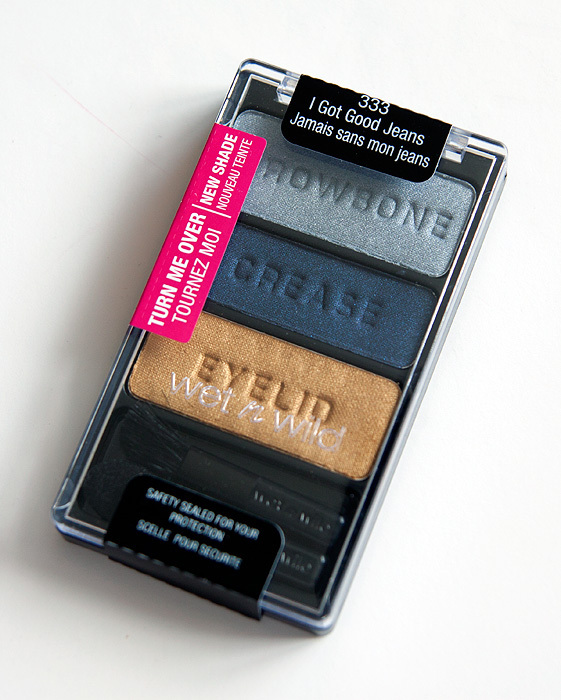 …and the winner of the FIVE lovely Wet n’ Wild palettes is…. Congratulations! Please get in touch with your postal details and I’ll get your prize out to you ASAP. 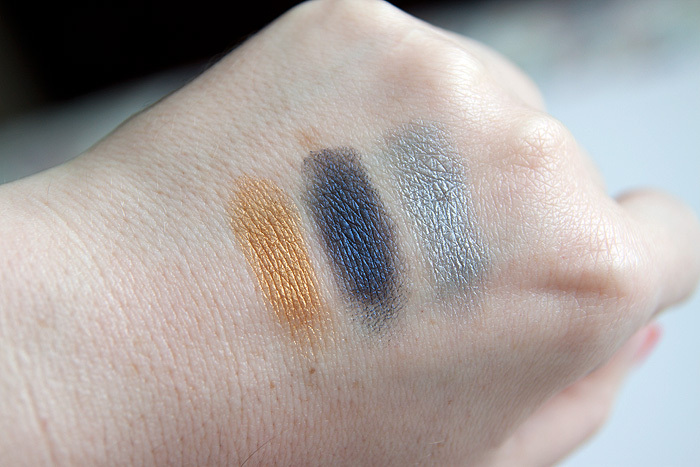 In honour of the hottest day of the year which we ‘enjoyed’ on Monday… I wore the Wet n’ Wild Color Icon Trio Eyeshadow aptly called “I’m Getting Sunburned”. 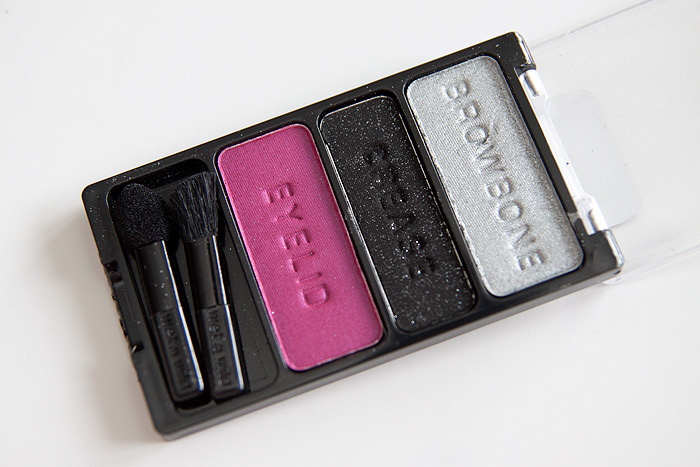 I wasn’t sure WHAT THE HELL I was gonna do with a frosty pink browbone shade… infact, so far I’ve only worn the suggested browbone shades on the browbone once. I only ever really wanna wear skintone shades in that area… it’s not Mardi Gras yano? I ended up packing a little on in the inner corner… it doesn’t work badly. 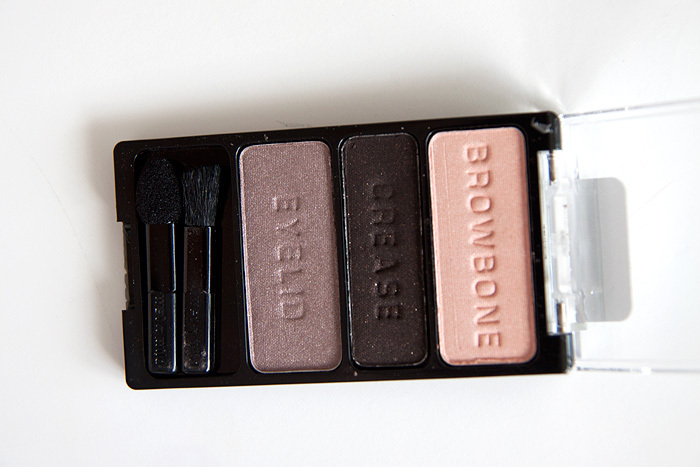 This is a really nice combo for green eyes. The crease colour in particular is stunning, it reminds me of MAC’s Teddy Kohl but in powder form… a rich, chocolate brown with copper flecks. I’ll be wearing this as a liner for sure. Sorry the photos aren’t so clear on the colours here… I couldn’t take standing around snapping pics in the window for too long, my smile was looking more forced by the second thanks to the greenhouse effect! Do you like this one? 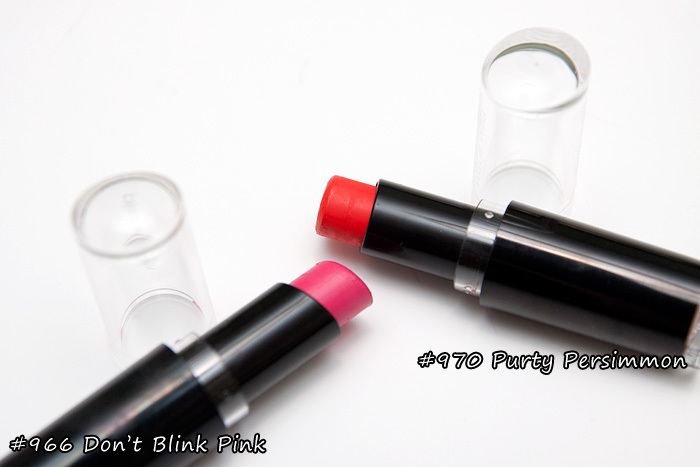 Next one up has a hawt pink in it – god knows what I’m gonna do with that! * lipstick is MAC Creme Cup while I remember! 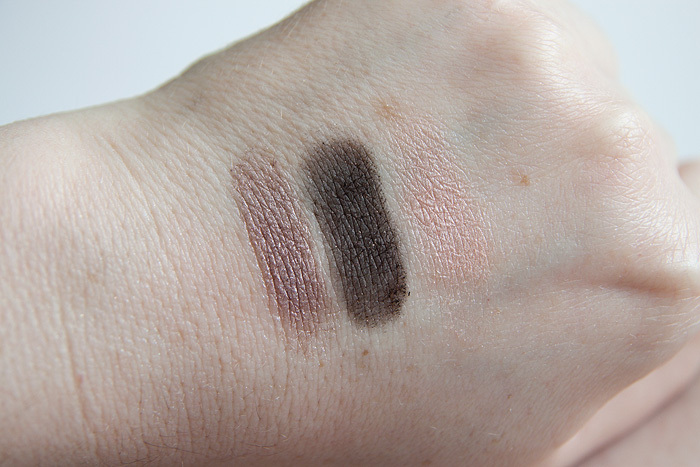 Continuing with my Wet n’ Wild palettes, today’s show is Silent Treatment. I knew I’d like this one but well, this is just silly beautiful. 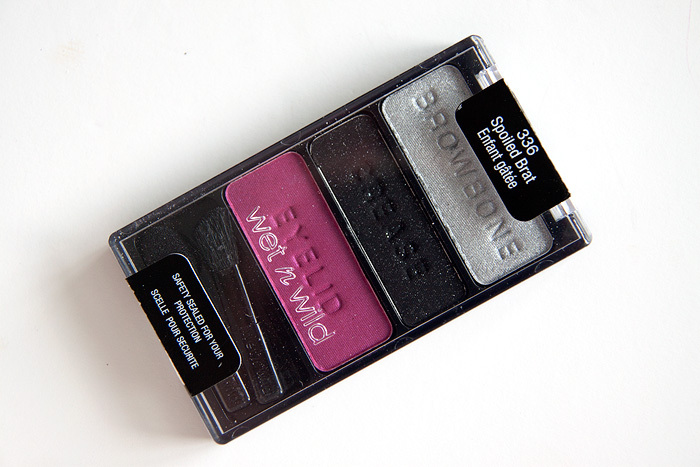 The browbone shade is gonna see a lot of use… it’s a lovely match for me to blend out harsh edges. I applied the crease shade higher than I would normally and left my outer v lighter. I think I like the effect… I’m not brilliant at applying eyeshadow but this seemed to open my eyes a little more though the overall effect was more dramatic than I’d usually wear during daylight hours! 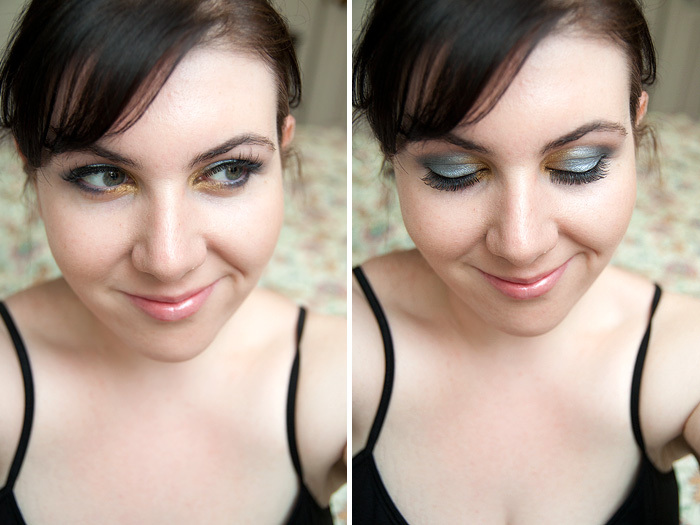 Weird angles… but it shows the eyeshadow FAR better than my usual attempts! 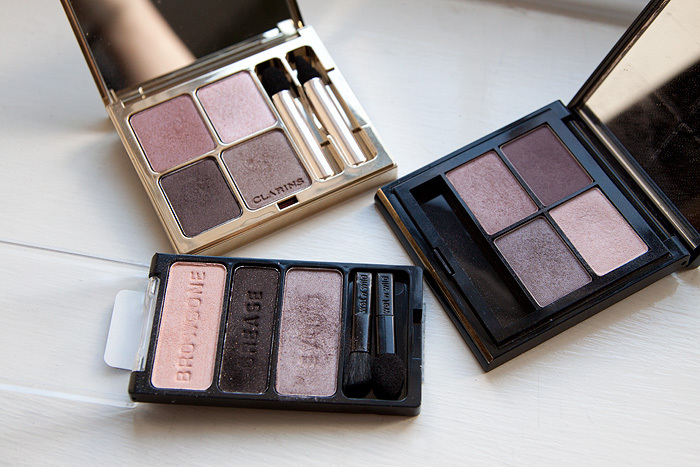 These palettes are a little dusty with a degree of fall out but boy, am I loving them nonetheless. We’re missing out on a trick here UK ladies.